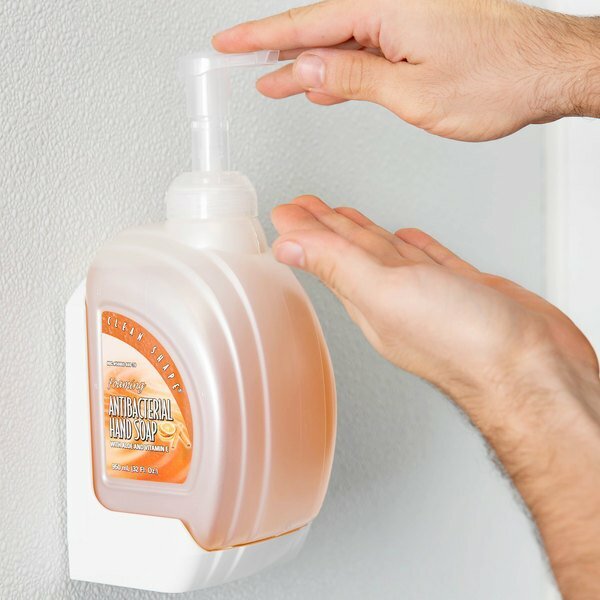 This Kutol 9907ZPL Health Guard pearlized white wall bracket is designed to hold any one of the Clean Shape bottles of foaming hand soap or sanitizer. 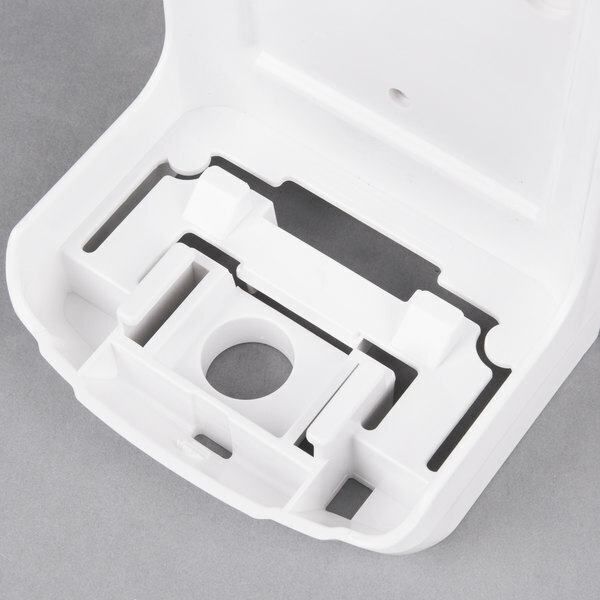 It adds to convenience and security by keeping the counter area clean and uncluttered. 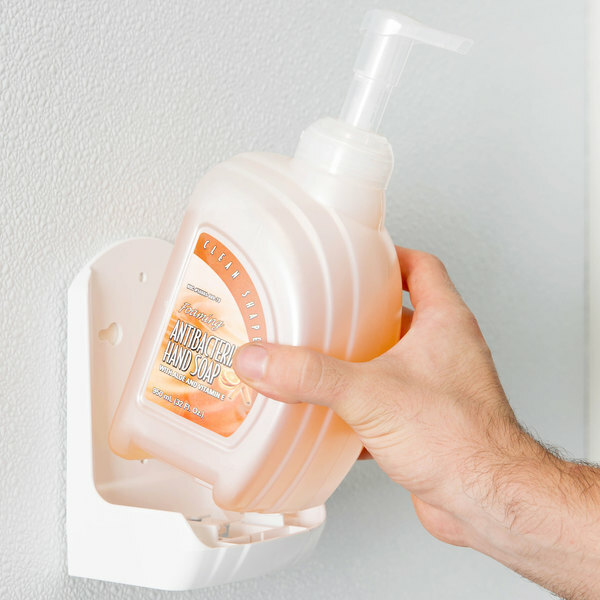 San Jamar SF900TBK Rely Pearl Black Manual Foam Soap Dispenser - 5" x 4" x 8 1/2"
Perfect for soaps to wall mount. 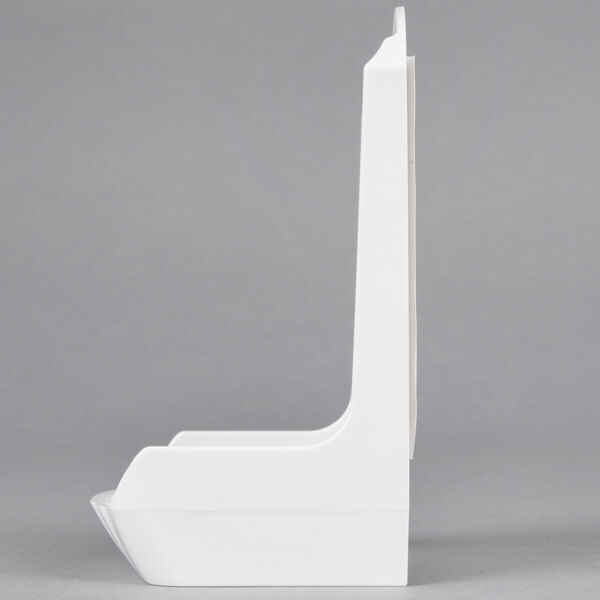 Keep ur area clear with this Kutol Clean shape bottle wall bracket. 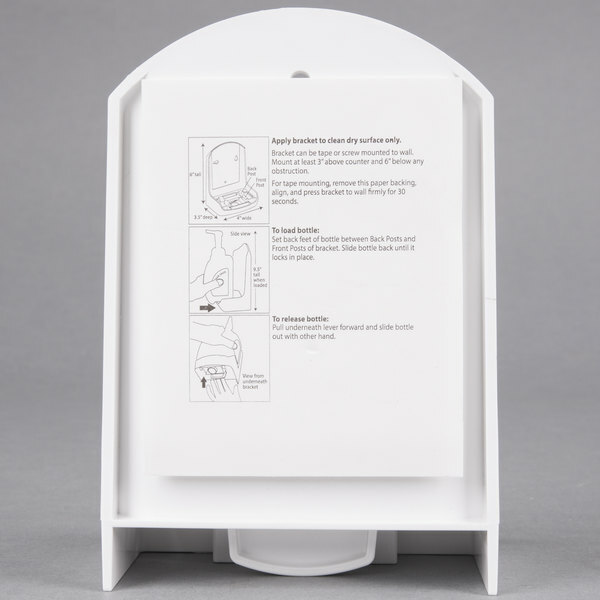 Perfect for restaurant establishments bathrooms, mount near sink. 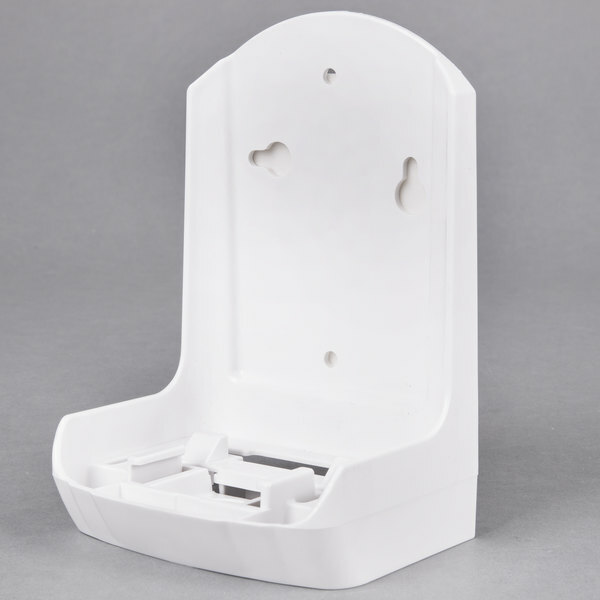 Our company bought this product to hold our soap and eliminate clutter on the bathroom sink. But it does not stick to the wall and is too large for the bathroom sink and constantly falls on the floor. 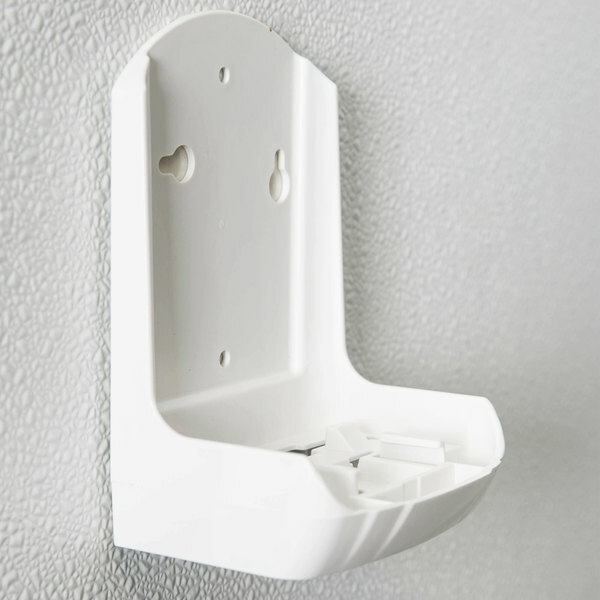 The Kutol Clean Shape Bottle wall Bracket. 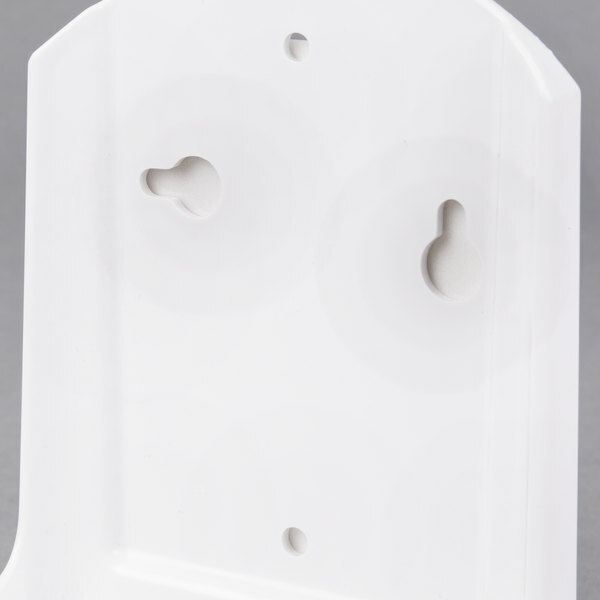 It is self stick, with screws for added protection, holds The bottle soap very good and easy to change out bottles. I love it.